Manoir Bagnell-Hall is the perfect place to relax in the picturesque countryside of Covey Hill near the New York State border. And, we're only 50 minutes from Montreal. This enchanting country resort is surrounded by cultural treasures, rolling hills, awesome scenery and lots of activities to amuse or challenge you. - exterior entrances, located near pool & playground area. 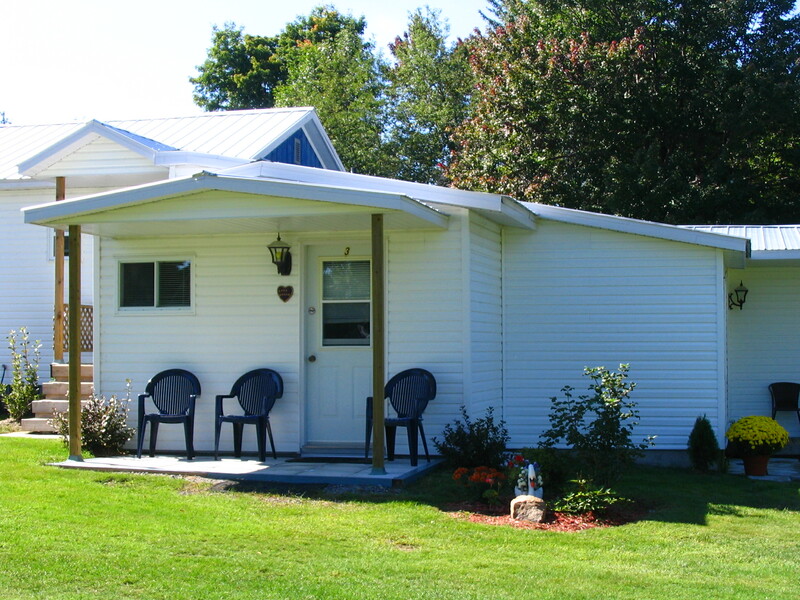 - exterior entrances, kitchenettes, 1 & 2 room units. Enjoy a stay in our unique lodging complex. Casa Bella: 1 double bed, 1 twin, 1 futon, full bath, patio. Casa Rosa: 1 double bed, 2 twin beds, full bath, patio. Casa Moreno: 1 double + twin bunkbed, 1 twin bed, 1 futon, full bath, patio. Air conditioned, satelliteTV & DVD player. All units are air conditioned & equipped with TV & DVD player. "CASA" : 2- room units with bedroom, living room & equipped kitchenette. All units are air conditioned. Satellite TV & DVD player in each. Units for families have 1 double bed & 2 twin beds. Guests have access to a large common room. WI-FI internet available around front area. Large grounds with swimming pool, terrace, campfire site, playground area, outdoor volleyball and soccer field, ample parking.